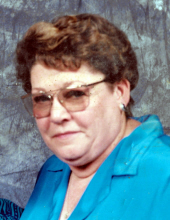 Gail Barbara Ramaker, 75-year-old Langley resident, passed away on Friday, February 22, 2019 at the Freeman West Hospital in Joplin, after an extended illness. She was born on February 20, 1944 in Brooklyn, New York to Harry Boyett Fletcher and Lillian (Hunt). Gail moved to White Oak in 1975 from Tulsa, She was united in marriage to Jack Ramaker in 1980, he preceded her in death in 2007. Gail worked at Eastern State Hospital for a few years. She was preceded in death by her husband, a daughter, Ginger Seamon in 1980, two sons, Gary Robert Bryant and Glen Edward Seamon, two grandchildren, Robert Bryant and Robin Bryant. The surviving family includes; a son, Greg Seamon and wife Diana of Lenexa, KS; daughter in-law, Crystal Seamon of Afton; the grandson she raised Harley David Bryant of Langley; a brother, Harry Fletcher and wife Avery of Langley; half-brother Glen Alan Shipp of Santa Clara, CA; grandchildren, Ginger and Steffen Seamon, Olivia Bryant, Devin King, Dillon and Denym Seamon; great-grandchildren, Jaycee Crossland and Finn Morrison and Phoenix Martinez. The memorial service will be held Friday, March 1, 2019 at 10:00 AM in the Burckhalter-Highsmith Funeral Home Chapel, with Pastor Robert Ramsey officiating. Arrangements are under the direction of the Burckhalter-Highsmith Funeral and Cremation Service. www.highsmithfh.com. To send flowers or a remembrance gift to the family of Gail Barbara Ramaker, please visit our Tribute Store. "Email Address" would like to share the life celebration of Gail Barbara Ramaker. Click on the "link" to go to share a favorite memory or leave a condolence message for the family.